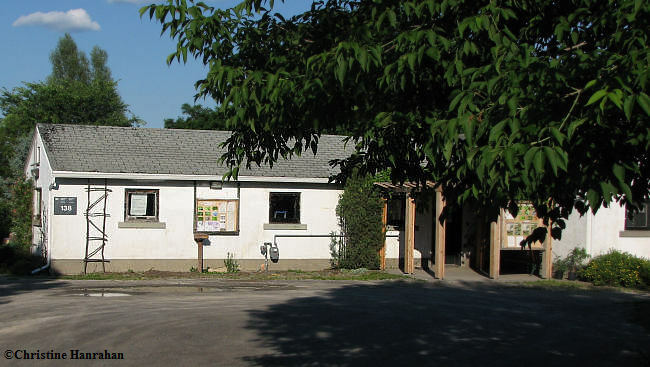 This is our Interpretive Centre in which is a small library, displays, office space and a meeting space for Ottawa Field-Naturalists' Club committees, and FWG volunteers. The Backyard Garden is behind the building. We're looking east toward the centre.